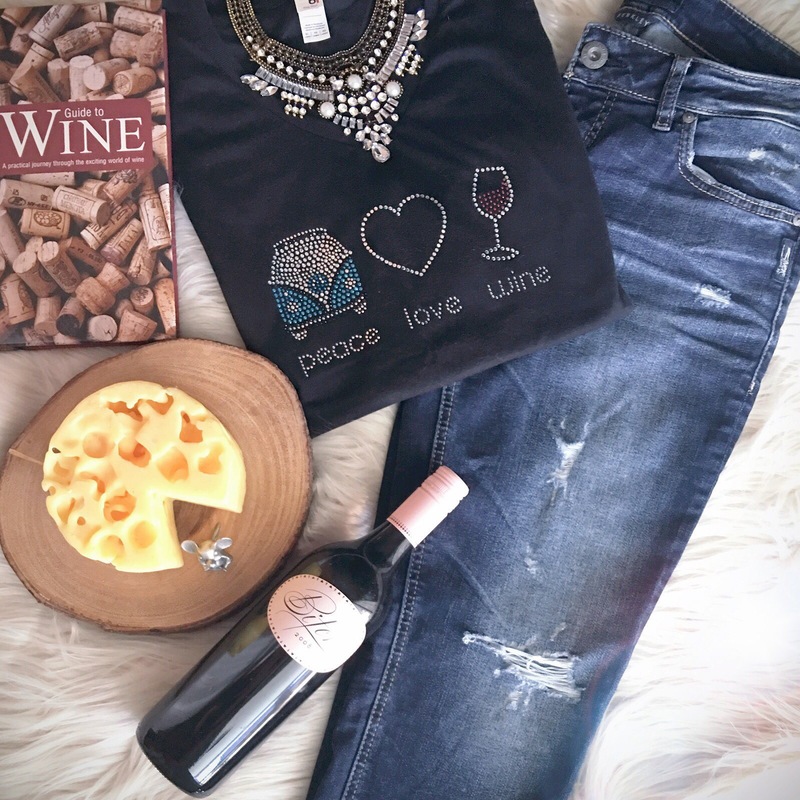 We at Sparkle Plenty Designs are in LOVE with this PEACE LOVE WINE sparkling shirt, and their website. Be sure to hop on over to take a look around (and sign up for their goodies – or maybe even purchase a tee)! What can Sparkle Plenty Designs BLING to life in YOUR world? I say we are a Gals’ Club with Wine Benefits. We offer subscription gift products for the creative woman, fempreneur, or mompreneur who needs a reminder to take some time out for herself. They also make ideal unique real estate closing and client gifts free-spirited female clients. What better way to show appreciation than the gift that keeps on giving in so many ways? Each BOHO box features a handcrafted piece of wearable art (jewelry) by a female artisan in the US. We include a bio and link to her website. And, each box contributes to a non-profit organization. We recently had our launch party which was a wine pairing dinner (of course) and silent auction. A portion of the proceeds are going to The ALS Association in addition to supporting the business. We have also done wine and yoga events (the bling tanks transfer effortlessly from the tasting room to the yoga studio) and we hope to do more live events. In March we will be doing an online Virtual Happy Hour Retreat called Creative Women, Wine, and Wisdom – How to De-stress, Cultivate Creativity, and Embrace Sisterhood…over a glass of wine. Peace Love & Wine was inspired over a glass of wine with a close girlfriend who owns a ’79 VW bus. The mermaid muse came to me in a half-meditative/half-doze state. She may not seem like a natural fit, but I figured, it’s my company, if I want a mermaid, then I’m going to have a mermaid. If people are looking to add a splash of creativity to their lives, I recommend they head over to peaceloveandwine.com and sign up to get a free meditative wine-themed download. Then pour a glass of wine and get coloring. What made you decide to do bling shirts? Because bling makes everything more fun and life is too short not to sparkle! First word that popped out when you saw your sparkle-wear? “Yay!” I get comments wherever I wear it and people often ask where they can get one. I just had a customer who ordered her first BOHO Box and absolutely loved it (which doesn’t include a shirt). Now she wants to order several shirts for herself and girlfriends! LOVE IT, and your FABULOUS designs and concept! This entry was posted in custom logo shirts, custom logo-wear, custom rhinestone, fundraiser apparel, fundraising shirts, gifts for women, promotional apparel, promotional products, rhinestone business, rhinestone tees, sparkle spotlight, sparkly rhinestone shirts, staff shirts, swarovski crystal shirts, Uncategorized and tagged peace love wine. Bookmark the permalink.